With festival season underway, StyleBlazer.com has elected their yearly round-up of the crème de la crème fashion writers and bloggers. 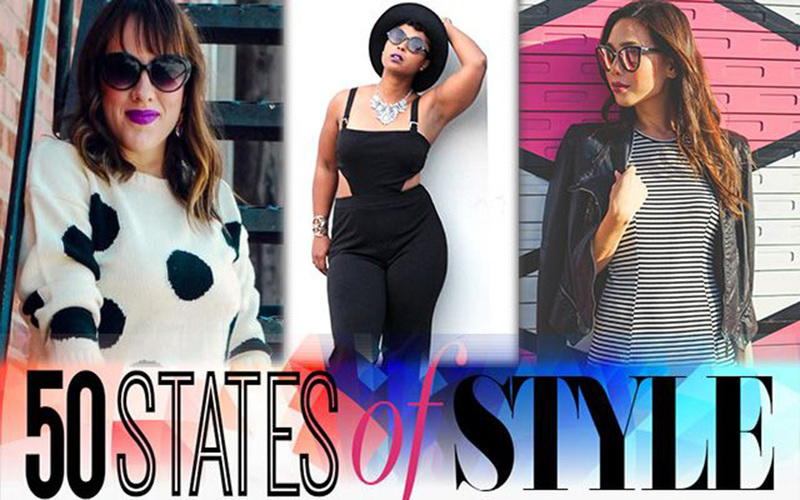 StyleBlazer officially present the 2016 50 States of Style. They’ve gone through the digital realm to select the top 50 fashion writers, bloggers, and beauty influencers from East to West Coast that represent this year’s hottest tips and trends through their online and digital presence! Now in its second year, this year’s select group of stylish women are some of our most powerful women to date. Following the previous year criteria StyleBlazer went to work searching high and low across all states to find women who own their presence in the fashion arena and show off their style, sending positive messaging to their followers. StyleBlazer editors looked at social media presence, frequency of posts, and all around creativity in delivering their message to their audience and selected the women they felt best represented their state. On the list they picked some familiar and unfamiliar faces based on their unique style and personality. From social media power-houses like Tanesha Awasthi of California and Daniela Ramirez of Florida whose social media following is into the hundreds of thousands with her blog Nani’s Klozet, to Natalie Craig of Idaho who aims to inspire other curvy girls who love fashion and want to embrace their body on her blog Natalie in the City. STYLEBLAZER wanted quality versus quantity and to make sure their readers had a diverse and realistic look at what fashion looks like across the states. Powerful in their own right, the women who were selected were represent our country with their unique sense of style and understand the importance of confidence and using their voices through fashion while connecting with their fans. They’re business women, entrepreneurs, fashion designers, trendsetters, and they are the 2016 selection of 50 States of Fashion. Head over to StyleBlazer.com and check who made the complete list and find out who the style maven is in your state.